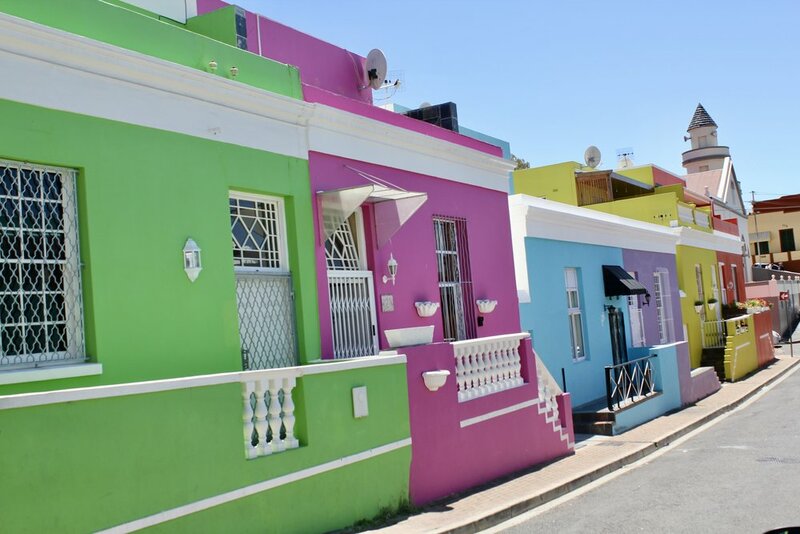 Bokaap, a vibrant and iconic neighbourhood situated at the foot of Signal Hill has unique and creative, meaningful architecture that brightens up the city with its colour palette. Bokaap area is a firm favourite with tourists and architectural history lovers alike. Where do all these beautiful bright colours come from and why? Some people say it all began when the people of Bokaap claimed their homes from the council and expressed their freedom in their own way, and this was through architecture. Some say the use of colour is a celebration of Eid within the Muslim community. It is also known to have been to express the Rainbow Nation. Between 1790 and 1840 the style of Bokaap emerged. Each house has a similar design, a "stoep", a Dutch or Victorian Style window and Cape Dutch Style door. These homes are required to maintain their facade for heritage and to continue its history. The beautiful cobbled roads give you a warm feeling as they guide you around the neighbourhood. On a sunny day in Cape Town, you're in for a treat! Buildings bursting with colour, heritage and culture, all brought together through architecture. Cape Town is a gem and forever growing.